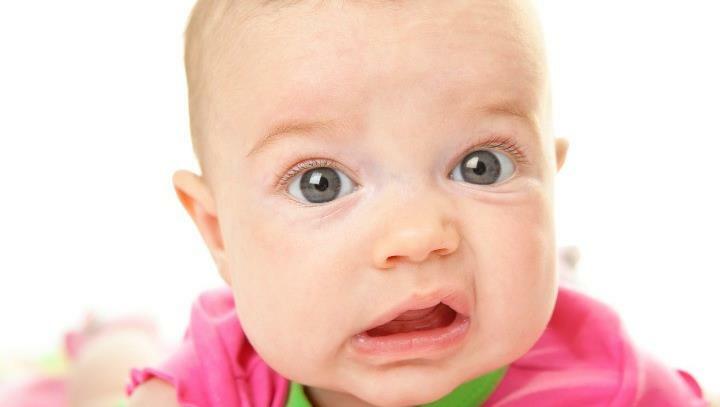 CouponInsanity - 7 Amazing Baby Products On Amazon That'll Make You Go, "Wow! Look At Those Reviews!" 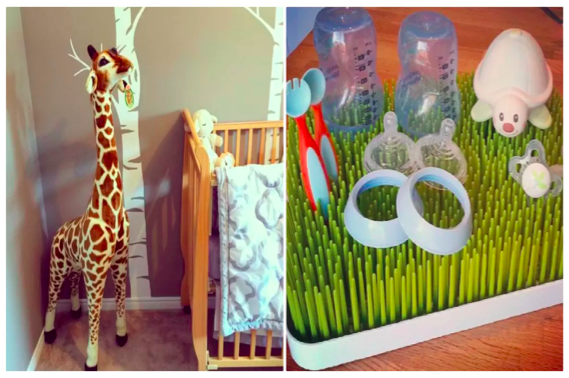 Home > Lifestyle > Trending > 7 Amazing Baby Products On Amazon That'll Make You Go, "Wow! Look At Those Reviews!" Amazon is an amazing resource for parents because you don't have to leave the house to get what you need and you can get things pretty quickly for a great price. Save time by browsing through our list of some of the best products for mothers and for some great baby gifts ideas. 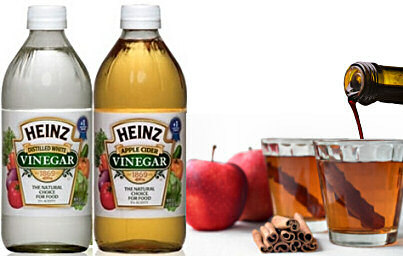 These products were chosen for the staggering number of five-star reviews and positive descriptions. We were certainly impressed and hope you will be too. Three times the coverage! Made from Bumkins' lightweight, easy wipe, machine washable waterproof fabric, SuperBibs are both comfortable and durable. Sized to fit ages 6 to 24 months, these bibs feature a back shoulder Velcro closure for a quick, adjustable and tug-proof fit. 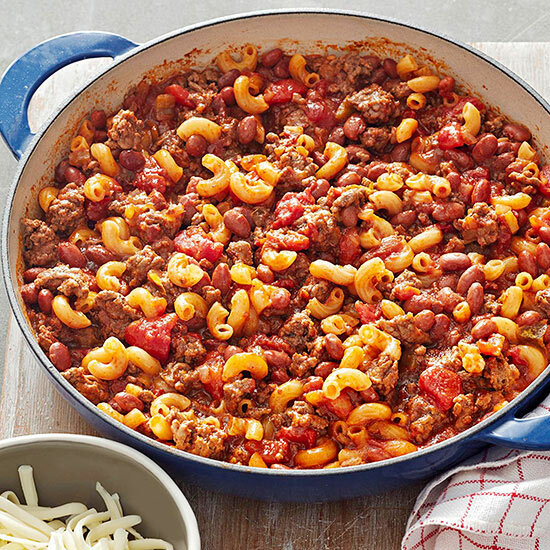 With a handy catch-all pocket for containing spills, this bib is a great addition to any mealtime! 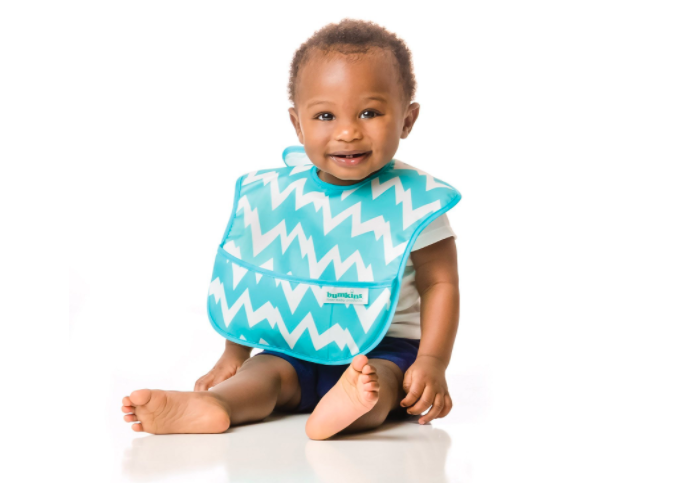 Bib measures approximately 10" across and 9" from neck down. BPA, PVC, vinyl, phthalate and lead free. Designed in Arizona, responsibly made in China. Buy here! Sample 5-star review: "These bibs are awesome! We bought them because our infant just started eating that soft cereal mixed with formula and she was making a mess. Her cotton bibs would start to stink really quick if we didn’t immediately soak them, so we decided to get something we could just rinse off and hang to dry. They work great and they even have little pockets at the bottom that catch any liquids or dropped food particles. " 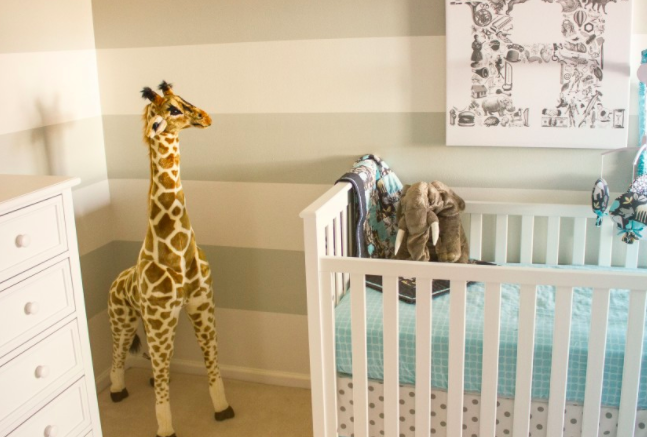 This majestic, giant giraffe transforms a child’s nursery or bedroom into an African savanna. It is sure to bring a smile to everyone’s face with its plush coat, patterned closely after the real thing. It features graceful, sturdy, wire-framed legs and a long neck that make it ideal for hugs or posing during playtime. This toy's cuddly appearance with its long, lifelike eyelashes will have kids running to hug it time and again. And because of its sturdy construction, the giraffe can take all the hugs your child has to give. Standing over four feet tall, the giraffe is likely to tower over all the other toys in the home and make a 'big' statement! Get here! Sample 5-star review: "We brought our giraffe Monica into our lives over a year ago and she has been a delight ever since. She loves to take part in festivities and she's great at dancing and riding bikes. I can't imagine our lives without a beautiful stuffed giraffe to cuddle in bed with and bring on long car rides." When building baby's toy collection, start with the classics! Nesting cups are popular for a reason, offering simple-yet-fun ways to play. Children love to fit them together, stack them up, or turn them over and hide things underneath. 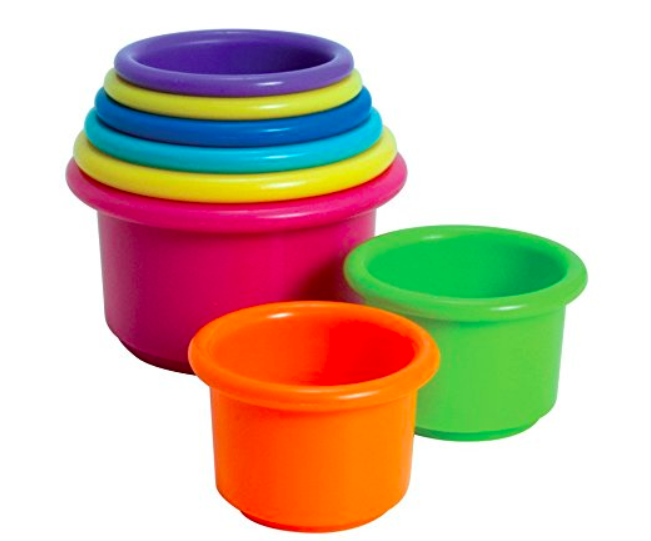 These eight colorful cups have large numbers embossed on the base so an older child can practice counting and begin building number recognition skills. You can 'count' on hours of fun! Get here! Sample 5-star review: "Such a simple and inexpensive toy that has entertained my 10 month old so much and has been his most used toy so far. He has been playing with these since about 5/6 months old and he just comes up with new ways to enjoy them which has been so much fun to watch him discover." 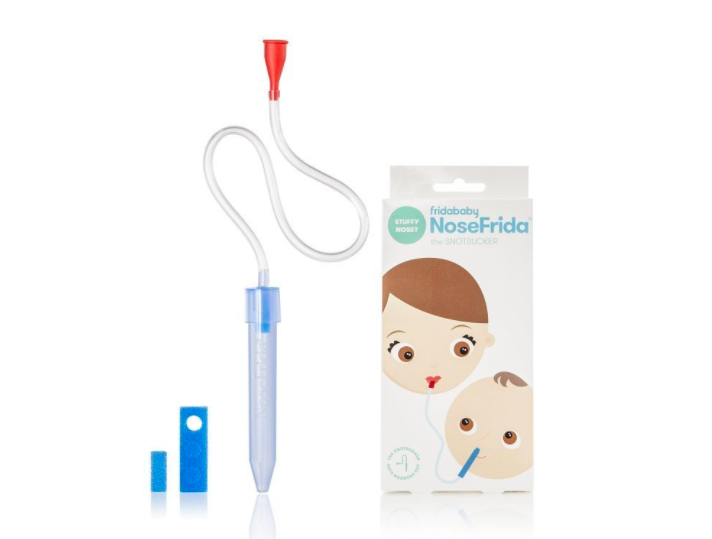 The NoseFrida Snot Sucker Nasal Aspirator, a doctor-recommended, non-invasive nasal aspirator, is the most reliable choice to keep babies mucus-free. The ingeniously simple Swedish design features a tube that is placed against the nostril and not inside for your baby's comfort and safety. You can use this baby nasal aspirator to give your child instant relief from nasal congestion by drawing mucus out of his or her nose. It features disposable filters to prevent any bacterial or mucus transfer. Get here! Sample 5-star review: "So effective, so easy to use, so brilliant. My 3 month old caught his first cold a couple weeks ago, and I worship this product. It reduces the misery for him so much. In fact, when friends who are having babies ask that "what's the one product you can't live without" question, I always tell them the NoseFrida." 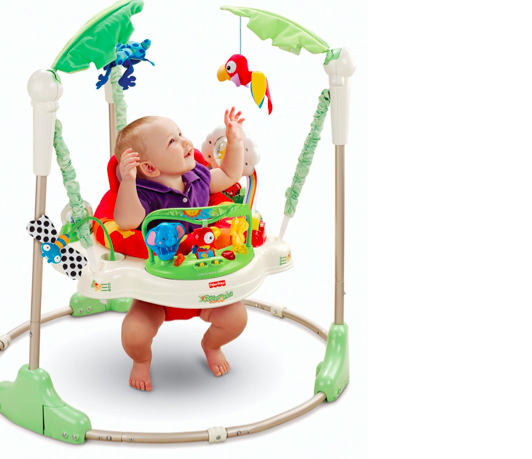 The Rainforest Jumperoo is a safe and comfortable place for baby to sit and play, whether he stays for just a moment or for several minutes. Two soft leaves extend from the frame to create an overhead canopy with soft toys that dangle down for fun bat-at play. It also features a rotating seat with soft spring covers that keep little fingers safe from pinching and three-position height adjustment for a custom fit. Get here! Sample 5-star review: "I don't write a lot of reviews, but I feel compelled to do so for this jumperoo. It has been worth every bit of the $60 we spent on it. I joke with my husband that I would have gladly paid $500 for it." The Neutral Summer Infant Complete Nursery Care Kit includes 21 grooming and health care items essential for any nursery. A durable storage case is included so parents can keep each item conveniently close at hand at home or on the go. Get it here! Sample 5-star review: "We ordered this kit as a baby shower gift for a coworker. It comes in the retail packaging. Perfect for gifting. 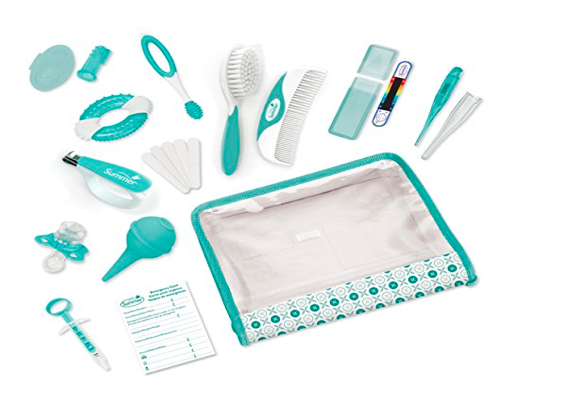 The kit is a nice teal color and includes just about everything a newborn may need to be taken care of. We are definitely getting one for our baby in the future. Overall we were really pleased with the purchase. " With the Ethan & Emma stroller organizer, all of your important items will have a perfect spot. No more shuffling around trying to find your phone, wallet, keys, or diapers. After all, an organized life is an easier life! Our baby stroller organizers have a collapsible frame and will fold with your stroller. And let us just briefly mention the awesome drink holders— they are extra deep to prevent spills, and well insulated to keep your coffee hot or your water cold! Just another extra feature we created with you in mind! Get here! 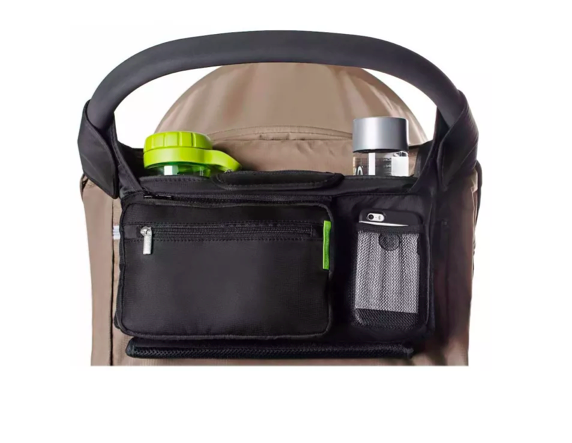 Sample 5-star review: "This stroller organizer is the perfect size to fit all the essentials when I’m out and about with both kids! I love that it has space for my keys and phone as well as a bottle!"